You want to offer a paraglider flight at the Reunion to a friend. Nothing simpler. Buy your gift voucher online by filling out the form below and receive it by email. You can also download a gift voucher here and contact us for payment. (Possible payment on the day of your friend's paragliding flight). This amount field is only showing to you. This will not show in PDF Voucher. 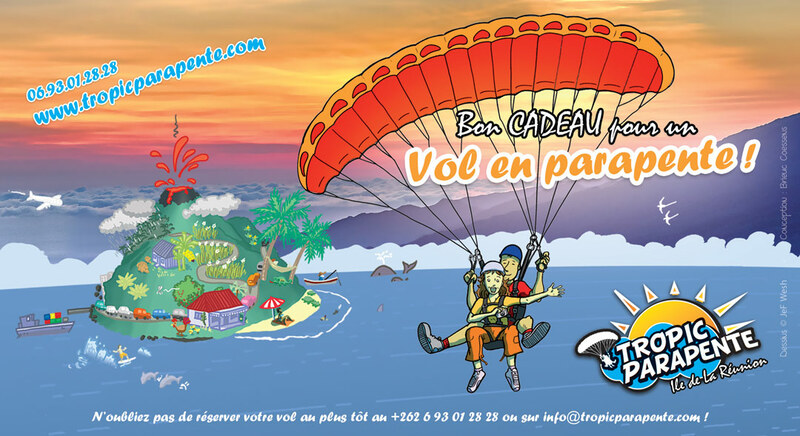 Tropic Parapente est une école de parapente à la Réunion. Venez faire votre baptêmes de l'air. Pour découvrir la réunion en vol et survolez le lagon de Saint-Leu, notre parapente vous attend.